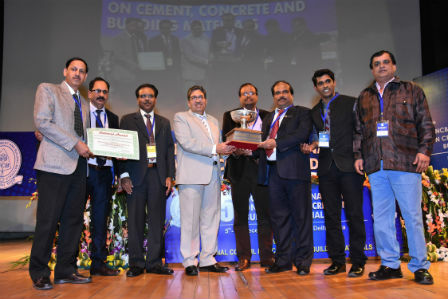 New Delhi: Ambuja Cement Ltd., one of the leading cement majors in India, has been conferred with two prestigious recognitions – National Award for Environmental Excellence for the year 2015-2016 and Best Technical Paper Award – at the recently concluded 15th NCB International Seminar held in New Delhi. Maratha Cement Works plant in Maharashtra was honoured for its best environment practices that have been creating awareness, promoting best practices and building capacities towards environmental sustainability. 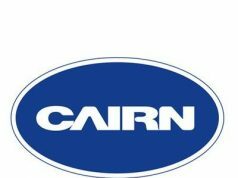 The Company has received the Best Paper Award for its technical paper – A Study of Mineralogy and Microstructure of Clinker by XRD and Microscopy – presented under the joint authorship of Rabriyawas plant and Corporate Quality. Ambuja’s report was among the 10 best papers shortlisted from 200 papers. Ambuja presented 22 technical papers showcasing new methodologies, technologies and best practices among others during the four-day seminar held by National Council for Cement and Building Materials (NCB), a premier body that works to promote research and scientific work in cement and building materials trade and industry. Ambuja also led technical sessions through six of our leadership – three as chairmen and three as co-chairmen at each session. The 15th edition of NCB International Seminar on Cement, Concrete and Building Materials focused on reviewing the developments in the areas of alternative fuels and raw materials, climate change, emissions control, CDM, ready-mix concrete and nano-technology etc. The seminar saw participation from the captains of the industry, which includes planners, policy makers and technocrats as well as the scientific and engineering community. Hundreds of participants from India and overseas came together on this common platform to share knowledge and discuss the finest innovations that are taking India’s growth story forward.